Extraordinary CCTV camera footage has emerged of an unattended young Chinese boy attempting to drive his mother’s car. 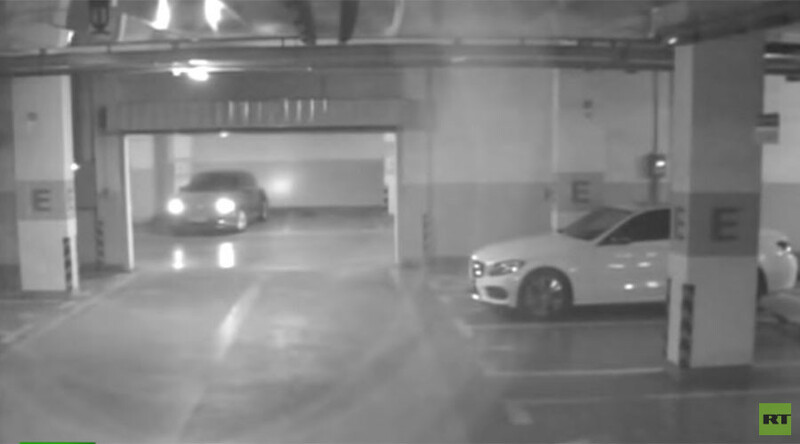 A surveillance camera captured the shocking series of events as the young boy hops into the driver seat and successfully manages to move his family car in a parking garage in south China's Guangdong Province on Saturday. The child proves to be surprisingly successful at first, turning the car on and getting it to move. He jerks the vehicle forward and backwards and messes with the indicators and headlights. Unnervingly another vehicle moves through the parking lot while the child continues his attempts. Thankfully, calamity was avoided and the young boy brought his brief adventure to a hold by hopping out of the car and running back to his mother. According to TVNZ the boy's mother noticed something was wrong when she found the car wasn’t where she left it with some fresh scratches at the rear. She could not believe her eyes when the garage staff played the surveillance footage back to her. "He is kind of smart and good at observing. When he sits in the back seat, he will watch how I operate the car. I have never at all taught him how to drive a car," the mother said.